There are previously unconfirmed records from BRC data of specimens supposed to be in the National Museums Scotland of which have been unable to locate. However, the first verified record for Scotland and Dumfries & Galloway was trapped on Auchencairn Bay (VC73) on 31st July 2011. One was trapped at Mersehead on 26th August 2017. Overwinters as a small larva between September and May, feeding inside stems and pupating low down in an old stem of the foodplant. Jointed Rush, Sharp-flowered Rush and Soft-rush. 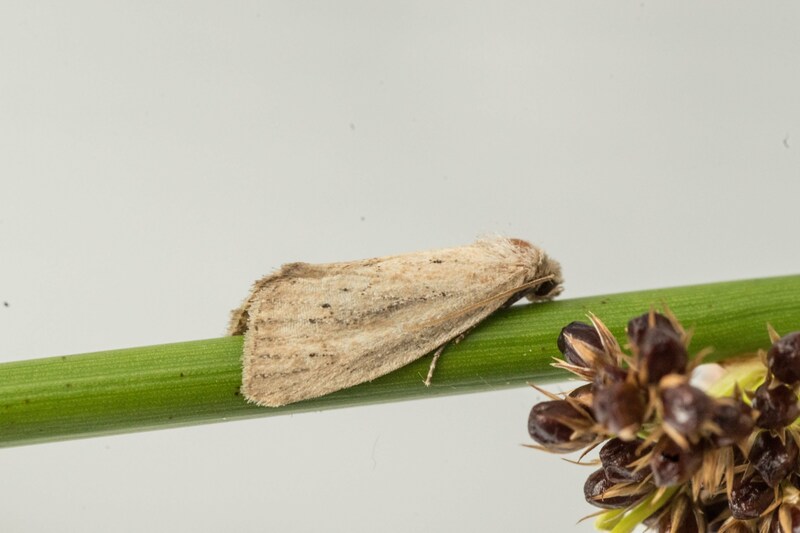 Very similar to Small Wainscot, with more rounded, less pointed forewing and a much slimmer body. Poorly drained pasture and bogs, but also fens and marshes. © Alison Robertson, Mersehead, 26 August 2017. © K. Bland per E. MacAlpine, Auchencairn, 31 July 2011.